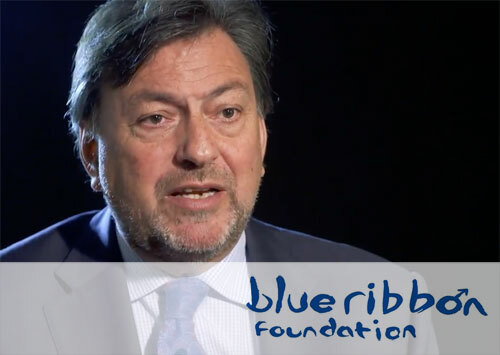 The Blue Ribbon Foundation offers free men’s health talks to organisations. Over the years, we have spoken to thousands of men about their health in a energetic, informative and sometimes humorous way. From many building sites to Buckingham Palace, we have spoken to groups of men (and sometimes women) from ten to hundreds. Subject matter covers most male areas of health starting with our studies of general male behaviours towards their own health. Topics covered include the major cancers, diabetes, weight, prostate, and mental health. Other subjects such as STD’s will be added on request. The time taken for the talk can vary from 30 minutes to over an hour. 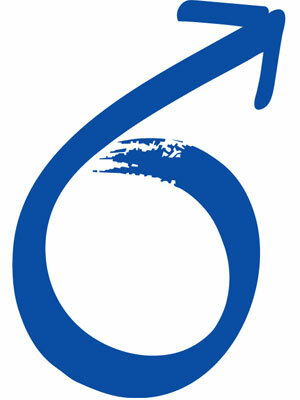 Outcomes have been men visiting doctors, having company occupational health checks, or making personal changes. 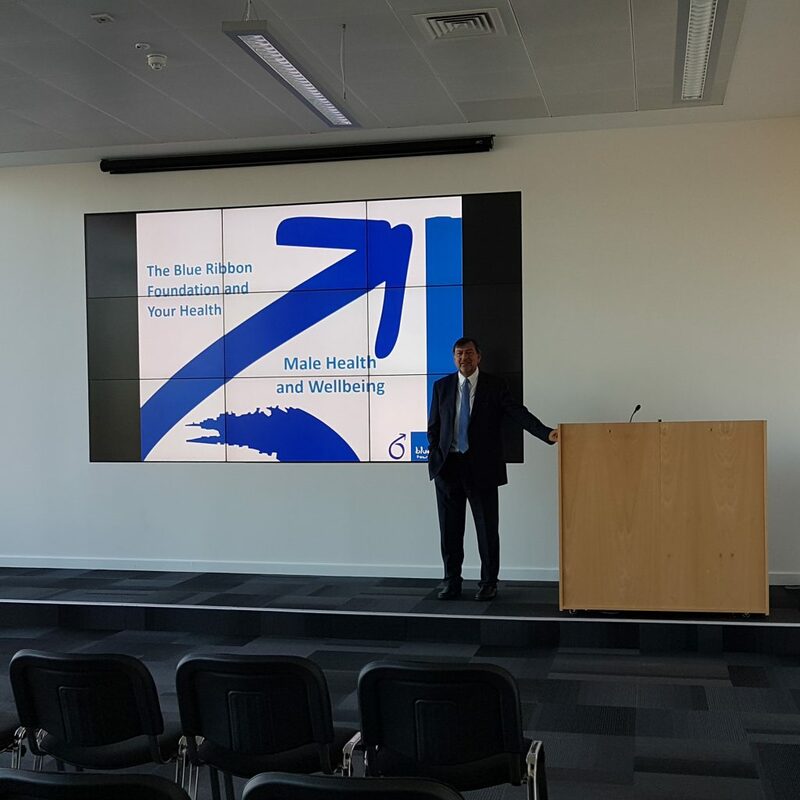 On behalf of Business Choice Direct and VavistaWellness, thank you for delivering an engaging, thought provoking talk on Men’s Health recently in Southampton. It was very encouraging to see so many young colleagues discussing sensitive and poignant health topics together both during and after the event itself. Just a quick note to say a HUGE thank you for the Men’s Health presentation conducted at Quantum Advisory in November as part of the themed Health and Wellbeing programme from VavistaWellness. You covered a lot of ground in the time given and I believe raised awareness of the key issues facing the male workforce, with good advice on preventative measures, early detection and statistics.